Welcome to my website Knowledge and Light. The purpose of my website is to inspire an appreciation for nature through the sharing of natural history (knowledge) and photography (light). My goal is to portray the marvelous and intrinsically valuable essence of wildlife as well as to introduce past and present conservation efforts in terms of our environment and individual species. Natural history and photography is my passion and life time pursuit; with every nature experience, I discover something new about myself and our natural world. My focus is to enjoy the journey, appreciate the moments, and share knowledge and imagery for the sake of education, conservation, and art. 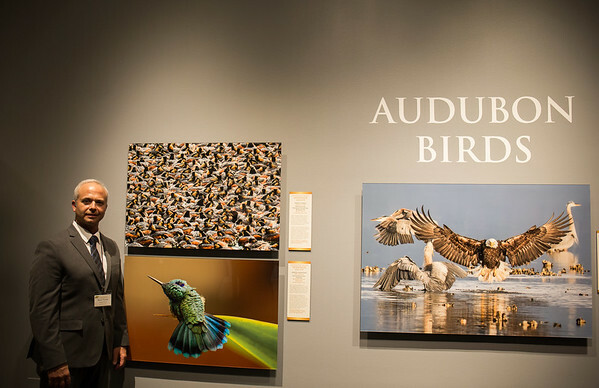 2016 National Audubon Awards, Washington, D.C.
Publications: Audubon, Nature’s Best Photography, Wyoming Wildlife, Montana Magazine, Montana Outdoors, Bugle, Zoogoer, Oklahoma Outdoors. Memberships: National Audubon Society, National Wildlife Federation, Defenders of Wildlife. Education: BS Biology, St Joseph’s University, Philadelphia; Doctor Dental Surgery, Temple University, Philadelphia. Academic Pursuits: Natural history, comparative odontology and skull anatomy, ornithology, paleontology, mammalogy, ecology. Interests: Backpacking, hiking, fly fishing, travel, gardening, wine, music. Career: Retired from dentistry with the Indian Health Service in Montana (Blackfeet, Crow, and Northern Cheyenne Reservations). Domicile: Yellowstone County, Montana, United States of America.